Digital holographic microscopy is an imaging modality that can digitally reconstruct the images of 3D samples from a single hologram by digitally refocusing it through the entire 3D sample volume. In comparison, scanning through a sample volume with a conventional light microscope requires using a mechanical stage to shift the sample and taking multiple images at various depths, which sets a constraint on the achievable imaging speed and throughput. Moreover, holographic imaging can be performed at a fraction of the size and cost of a conventional bright-field microscope, also covering a much larger field of view. This has enabled a myriad of hand-held devices powered by holography for bio-medical diagnostics and environmental sensing applications. Despite these advantages, the resulting images of a holographic microscope in general suffer from light interference related spatial artifacts, which can limit the achievable contrast in the reconstructed hologram. Researchers at UCLA have developed a novel artificial neural network-based method to overcome these limitations of holographic 3D imaging. 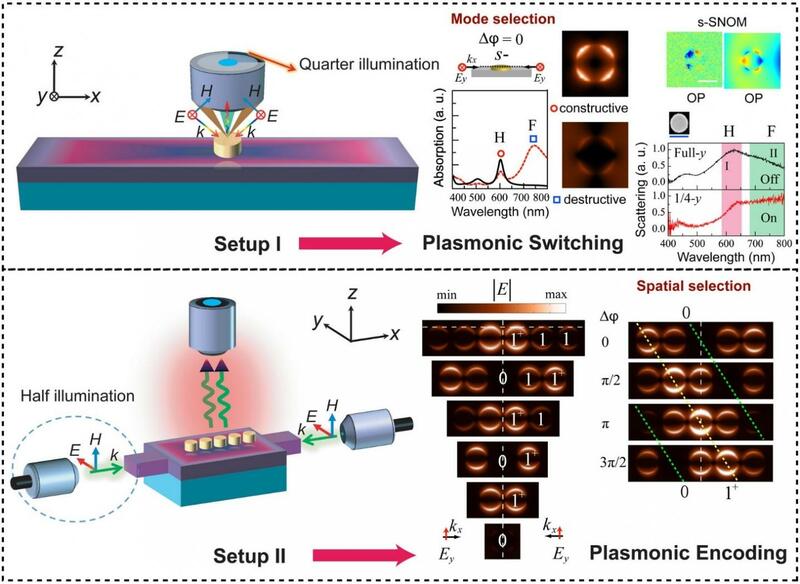 This new method, termed Bright-field Holography, has the best of both worlds as it combines the image contrast advantage of bright-field microscopy and the snapshot volumetric imaging capability of holography. In Bright-field Holography, a deep neural network is trained using co-registered pairs of digitally refocused holograms and their corresponding bright-field microscope images to learn the statistical image transformation between two different microscopy modalities. After its training, the deep neural network takes in a digitally refocused hologram corresponding to a given depth within the sample volume and transforms it into an image that is equivalent to a bright-field microscope image acquired at the same depth, matching the spatial and color contrast as well as the optical sectioning capability of a bright-field microscope. Although the training of such a neural network takes ~40 hours, after it is trained, the network remains fixed and can rapidly create its output image, within a second for a hologram with millions of pixels. This research has been published in Light: Science and Applications, an open access journal of Springer Nature. The research was led by Dr. Aydogan Ozcan, the Chancellor’s Professor of electrical and computer engineering at the UCLA Henry Samueli School of Engineering and Applied Science, and an associate director of the California NanoSystems Institute (CNSI), along with Yichen Wu a graduate student and Dr. Yair Rivenson, an Adjunct Professor of electrical and computer engineering at UCLA. “Bright-field Holography bridges the contrast gap between the classical hologram reconstruction methods and a high-end bright-field microscope, while also eliminating the need to use complex hardware and mechanical scanning to rapidly image sample volumes.” said Prof. Ozcan. One of the applications that will immediately benefit from this technology is rapid volumetric imaging of dynamic events within large volumes, opening new avenues for significantly advancing high-throughput imaging of liquid samples through deep learning. Other co-authors of this article include Yilin Luo, Gunvant Chaudhari, Ayfer Calis and Kevin de Haan, all members of the Ozcan Lab at UCLA. Ozcan Lab is supported by the Koç Group, NSF and HHMI.